McGraw-Hill is proud to partner with Illinois educators, administrators and families to provide the highest quality of support to you in preparing Illinois students for success. Empowering educators with well-rounded instruction that engages and inspires learning. Customizable to fit your teaching style, McGraw-Hill My Math challenges and engages your students as they build their skills to communicate mathematically. Wonders connects your classroom to standards and inspiring literature with this comprehensive literacy program. Inspire Science, our new modular K-5 science learning experience, is designed to prepare the next generation of innovators. Educators: Click here to access online samples of our programs. Support social-emotional learning in your classrooms with resources that develop communication and understanding, and prompt thoughtful conversations about feelings, friends, family, and more. The social-emotional big books are a great source for read-alouds that focus on relatable themes and inspire discussion, and the flipchart provides engaging visuals and suggestions for activities and role-play. EdTech expert Michael B. Horne explains how you can bring blended learning to yoir classroom. In this blog, we've gathered actionable strategies from experts in literacy. Discover three strategies to engage and empower every student.. 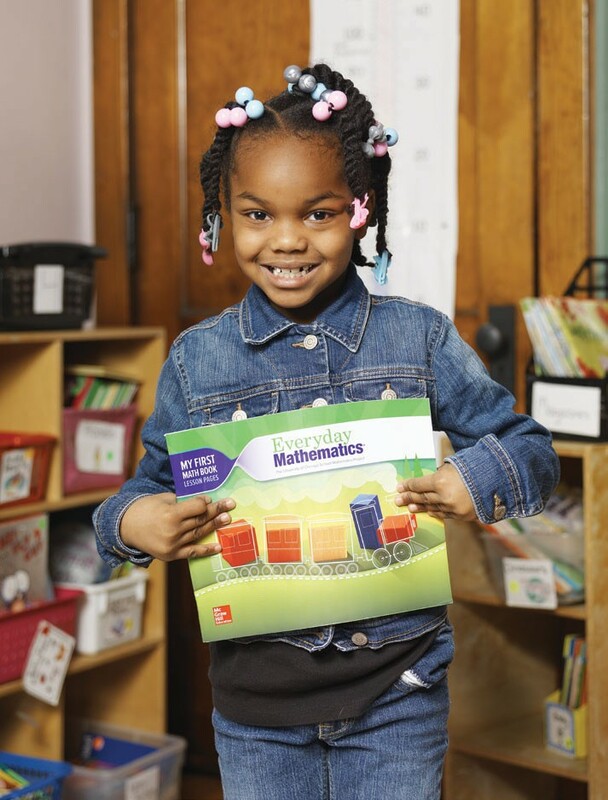 Everyday Mathematics is a comprehensive Pre-K through Grade 6 mathematics program engineered for the Common Core State Standards. Developed by The University of Chicago School Mathematics Project, this program helps your students achieve true mastery by continually reinforcing math concepts through concrete real-world applications and carefully constructed learning progressions. If you have questions or want to know more about our curriculum and instructional materials, fill out the form below to contact us. To request a sample, quote or demo, or for other general customer service needs, click here.